Network Reader that is easily deployed and managed on common networks. 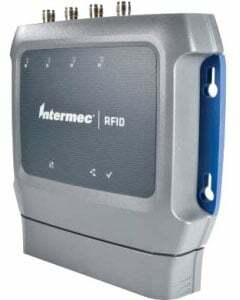 The Intermec IF2 is a compact, cost-effective network reader designed to support diverse RFID applications in both enterprise and industrial environments that require a scalable RFID system with a low cost per read point. The IF2 supports Power over Ethernet, four mono- or bi-static RF ports, built-in powered general purpose input output (GPIO) control, and both standards-based LLRP and Intermec's easy to use Basic Reader Interface (BRI) application interfaces, enabling scalable low-cost deployments for improved return on investment (ROI). The IF2 is packaged in a durable enclosure for nearly any environment and is factory configured to operate in regions across the globe. The Intermec IF2A000039 is also known as Intermec Technologies	IF2A000039	.